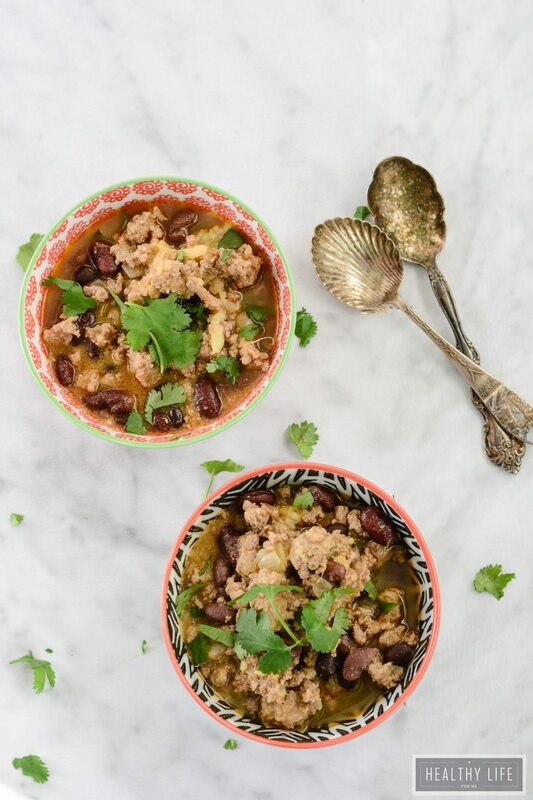 Turkey Sweet Potato Chili will become your new favorite chili recipe. Made with sweet oriental sweet potatoes, lean ground turkey and fresh herbs. 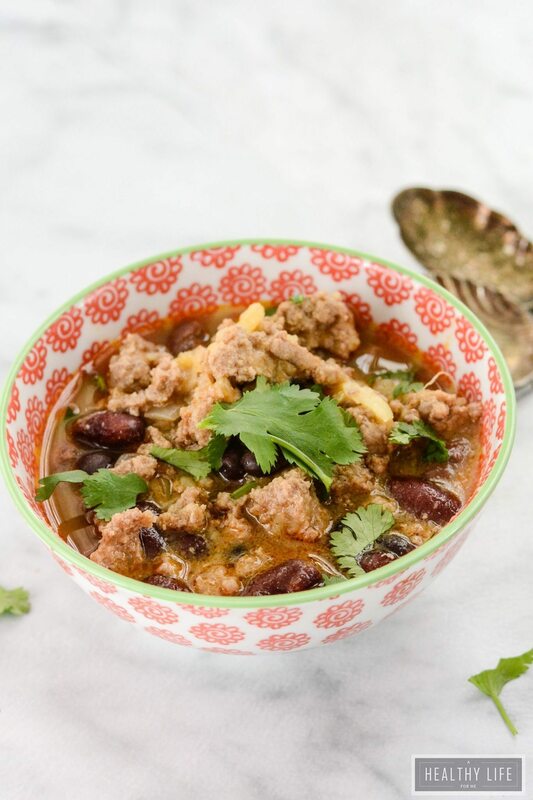 This is a seriously healthy, lean and delicious chili recipe. Happy Monday! Hope you had a wonderful weekend and a Happy Valentines Day! I competed in a Crossfit competition on Saturday, had tons of fun and then had a delicious dinner with my hubby on Saturday night, so I had a pretty awesome weekend. Sunday the snow started coming down, and it quickly turned into one of those days when you stay in, cook up some good food and watch lots of T.V. 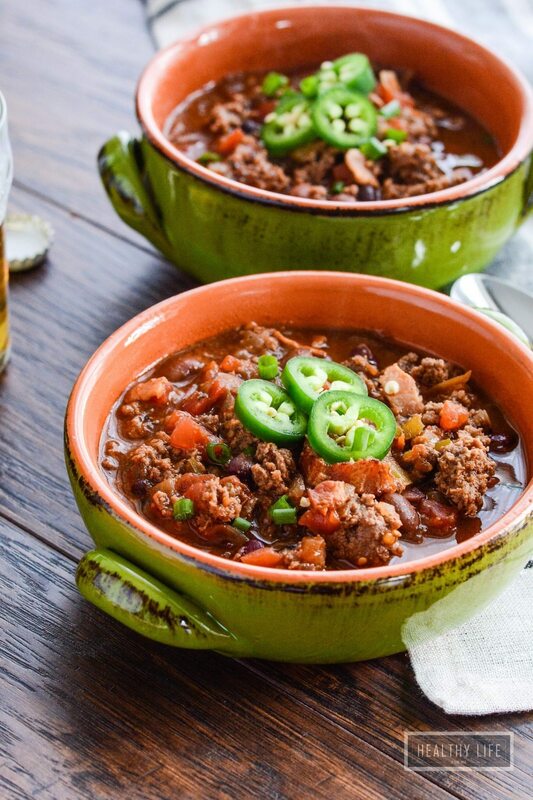 A big bowl of chili sounded like the perfect way to stay in on a lazy Sunday. The hubby and I turned on the Turner Movie Classics and watched The Philadelphia story starring Katherine Hepburn, Cary Grant and Jimmy Stewart while I made this chili for dinner. Such a great movie, and this is such a great bowl of chili. I used oriental sweet potatoes in this chili recipe which are also known as Japanese sweet potatoes. You can thank me later for turning you on to these purple delights. 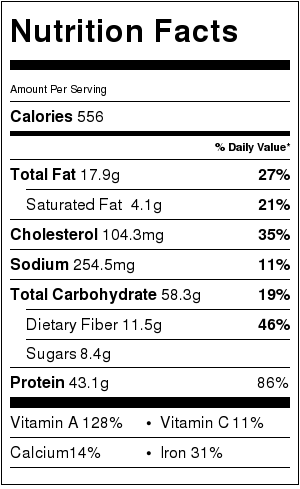 Once you try them, they will be the only sweet potato you will eat. Oriental sweet potatoes have a bright purple skin that you can find right next to your regular sweet potatoes in your general grocery store. 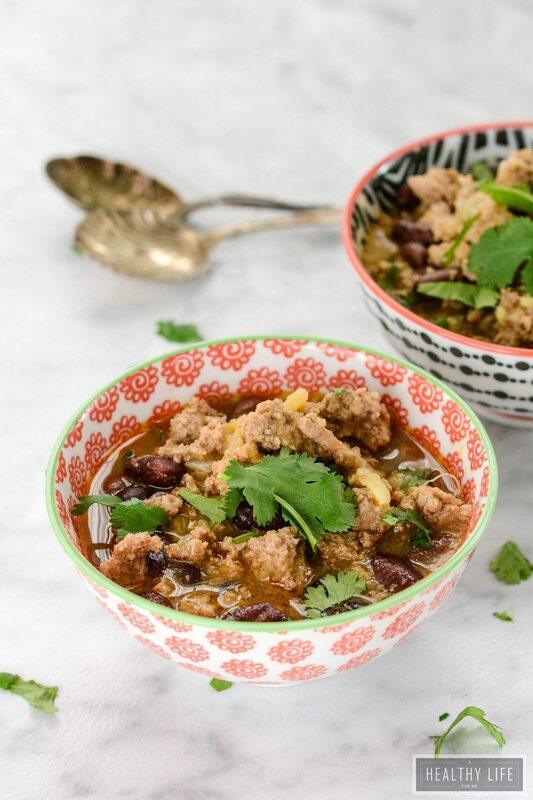 The sweet potatoes add a great hearty layer of flavor that is sweet and nutty to this chili. Pierce sweet potato down one side with fork. Place potatoes on a piece of aluminum foil and drizzle 1 tablespoon of olive oil and rub potatoes. Wrap aluminum foil tightly around potatoes, place on baking sheet and place in preheated oven for 45 minutes. Remove from oven, let cool until you can handle. Using a fork the skin should remove easily and then mash. Meanwhile heat a large pot or dutch oven over medium heat. Add 1 tablespoon olive oil and turkey, breaking up and string until slightly cooked through, about 5-6 minutes. Push turkey to the perimeter of pan making a clear spot in the center. Add the onion and garlic stir cooking until translucent, about 4-5 minutes. Stir in chicken broth and simmer for 10 minutes. Add in mashed sweet potatoes, black beans, cilantro, warm evenly and serve.